Grisha Yakubovich speaking to CNN's Oren Liebermann, 1 June 2015. CNN. Screenshot. 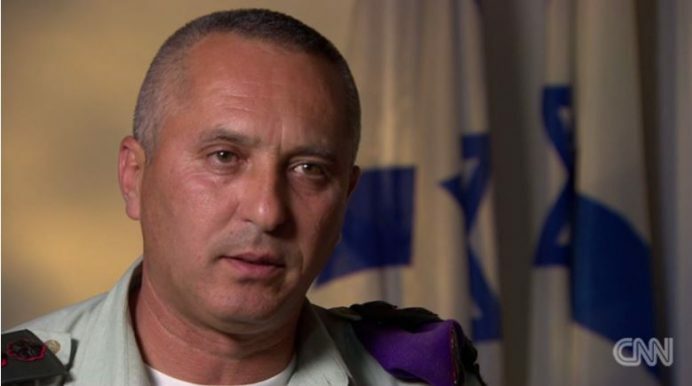 Col. (res) Grisha Yakubovich spent the majority of his 30 years in the IDF in the Coordinator of Government Activities in the Territories (COGAT), which promotes and implements the policy of the Israeli Government in civilian matters in the West Bank and Gaza. In this interview with Deputy Fathom editor Calev Ben-Dor, Yakubovich argues that the Government of Israel and the Palestinian Authority (PA) need to put aside political arguments in order to advance practical steps that can alleviate the situation in these territories. He also suggests an outline for a potential ‘grand bargain’ involving Hamas in Gaza – under certain conditions. 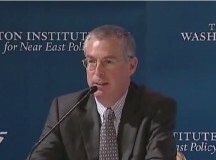 Calev Ben-Dor: You were in the IDF for 30 years, ending your career as a senior officer at the headquarters of COGAT, whose role is to facilitate humanitarian issues and economic and infrastructure projects in the West Bank and Gaza Strip and lead the coordination and liaison with the PA and the Palestinian population of the territories. How did that experience shape your current thinking? Grisha Yakubovich: I was a combat soldier and a medic with expertise in explosives. After completing the officers’ training course I found myself in the middle of the first intifada in Gaza. I learned there was another side, another people, who also needed to live. At the human level, one can’t just say ‘forget about them’. As a young combat soldier in Lebanon I remember being full of hatred towards Arabs after residents from al-Aisha laughed at us following our commander being killed. My political views were then to the right, but my experience as a COGAT officer in Gaza gave me a more balanced outlook. Today I have no political stance – I define myself as a realist, because there is a reality and we need to do something about it. My service in Gaza changed everything for me. I still have friends in Gaza today. In fact, there is a kid who is named after me. What an honour! For a Palestinian to name his son after a Jewish Israeli officer (especially one named Grisha) is a very significant thing. When I was an 18-year-old combat soldier I felt I was sitting on top of the world and I could do everything. It can be difficult to respect civilians when you receive orders to be the ruler, and your friends are being killed by the relatives of those civilians. Today, as a mature man, I can draw a much clearer line between what is moral and what isn’t. But my biggest challenge was to make sure that soldiers implemented their mission and still felt themselves to be moral human beings. The IDF has done a great deal over the last 20 years to educate soldiers and commanders to respect rules of engagement and morality. They went through an intensive process. 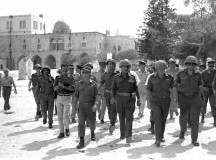 That was a part of my mission at the beginning, in the middle of the first intifada – I remember going with the military police to arrest Israeli soldiers. Back then, for an aggrieved Palestinian, the only place he could complain was COGAT. Today it is an entirely better situation. I was a civil administration officer in Gaza. One of my positions was Mayor of Gaza City, dealing with municipal issues. There was actually a contract on my head from both Fatah and Hamas: the successful administration of the area was undermining the ‘national resistance’. In addition, I was working with IDF forces to make sure they were keeping within the rules for how to act towards a civilian population. For example, if a battalion needed to enter the mosque, I would bring the muezzin to open it and then make sure the soldiers would enter without shoes as a sign of respect. After the Oslo agreement, when the IDF redeployed out of Palestinian cities, I was one of the last officers to leave Gaza. 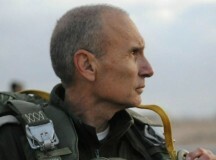 I was subsequently involved in establishing the IDF’s connections with the newly established PA and helping them administer the day-to-day issues of life – how workers would receive permits to enter Israel, how the population would get electricity and water and how they would pay for it. I did the same in the West Bank. The period between 1994 and September 2000, before the outbreak of the second intifada, which killed over 1000 Israelis, were the good days. CB-D: You said that you are a realist because there is a reality that needs to be dealt with. What does reality look like from your perspective? 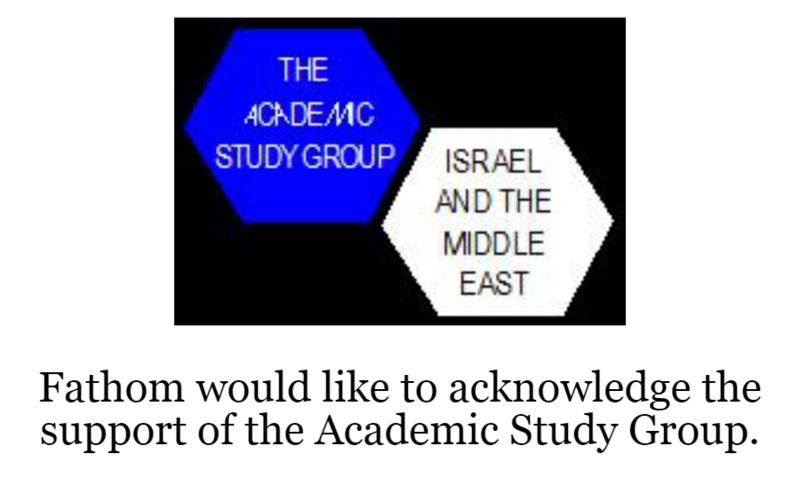 GY: The Arab world views the Palestinians as the ‘Jews of the Arab world’. In other words, the Palestinians are much closer to us Israelis than any other Arab nation. Even today, in my experience as a CEO of a company, I see how my Palestinian customers do business in exactly the same way Israelis do. Ultimately, Israelis and Palestinians aren’t going anywhere. We are both here to stay, which means we need to find solutions. But whereas a final status solution may be some way off because of political differences, realistic and practical steps can be taken now. All that is needed is for both sides to stop politicising every one of those steps. One example is the issue of third generation (3G) wireless mobile telecommunications technology in the West Bank [Palestinians currently have 2G], which has been discussed in recent years. The solutions are on the table, and all that is needed is a pragmatic approach from both sides. Water is another issue where progress can be made. Within a couple of years, Israel could supply 40-50 Million Cubic Metres of Water (MCM) to the West Bank. The Palestinians could ask donors to build a sewage treatment plant near Salfit that would deal with the waste from Salfit and the neighbouring Israeli settlement of Ariel. The German government rejected this plan because its aid was only for Palestinian sewage and treatment. I understand the principle, but sewage from Ariel continues going into the wadis. And the people who lost out were the residents. 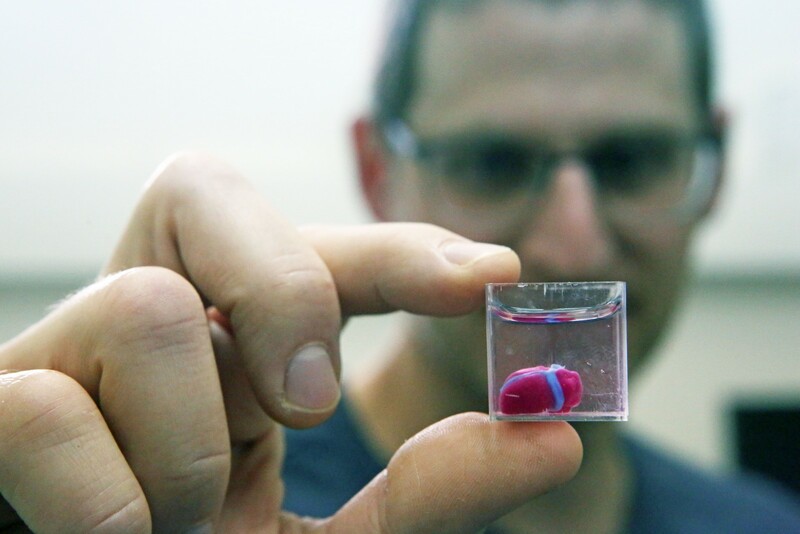 Israel has the technology and could educate new engineers from Salfit to operate the sewage treatment plant. The water could subsequently be used for Palestinian agriculture. What is missing is a decision from both sides. The argument has become political. The moment this happens, both sides find reasons why it shouldn’t be done. The first argument starts with a disagreement over water rights. The West Bank is at a higher altitude than the Israeli coastal plain, so one of the Palestinian claims is that because the rainfall originates in the West Bank before joining the coastal section of the aquifer, Israel is using Palestinian water. But that’s not how it works. There’s one joint aquifer. Israel also desalinates seawater and treats wastewater, and pumps this back into the joint aquifer for the use of both populations, and to stabilise the aquifer for future generations. In the interests of pragmatism, the Palestinians need to put aside arguments over rights. And Israelis need to put aside the argument that we will only supply them with additional water if they sign off on projects to also add water to the settlements. Those two things – which are political – are preventing practical solutions on the ground. There is a risk to inaction. The risk is connected to the battle between two Palestinian narratives. One narrative – primarily promoted by Hamas – believes in violence and terrorism, arguing that Israel only understands violence. PA President Mahmoud Abbas (Abu Mazen) has a different narrative – he believes in negotiations – but he hasn’t succeeded in bringing anything to his people. It is in Israel’s interest to support his narrative. But of course, the problem with strengthening Abu Mazen is that he speaks with two faces. He coordinates with us on the ground in the West Bank while he also attacks us in every possible arena. CB-D: Is your plan similar to Salam Fayyad’s model of building state institutions with the understanding that political reality will follow? GY: Fayyad’s plan was to build institutions. I am suggesting we change reality. For example, in the West Bank we should add 50-60 MCM of water and 300 megawatts of electricity, authorise 3G, and provide loans to the PA. Will Israel collapse if this happens? Of course, there is a fear that, even after these steps, Abu Mazen could continue to support an anti-Israeli policy in international forums. I understand that trap, but in the end we need to find a pragmatic way to make progress for the people. The Palestinians are focused on what they term ‘inherent rights,’ so they refuse to agree to projects unless those projects are connected to a political vision the Palestinians believe in. But this refusal is preventing improvements in people’s lives. Another example of where things are unnecessarily stuck is the Kidron River. The River, which begins in East Jerusalem before passing through Area B and Area C, has 20 MCM of raw sewage floating through 28-30 kilometres of the desert, polluting the entire area. People live there, and there is also a monastery and nature reserve. All that is needed to reduce pollution is for a pipeline to be installed to bring the sewage to Jericho for the Palestinians to treat. This has been on the table for 20 years, but it is stuck because we can’t reach an agreement between the sides: the Palestinians insist that since it starts in East Jerusalem, it’s their sewage, and obviously Israel cannot agree to give them rights over East Jerusalem. But if Israel goes ahead and builds a pipeline through Area C anyway, the Palestinians would attack them in international institutions. The area in the desert through which the sewage runs could be visited by thousands of tourists. But instead of thinking practically, people are literally fighting over sh*t.
This was one of my last projects before I left the army. The head of COGAT challenged me to find a solution. I recommended Israel unilaterally install a pipeline to bring the sewage to Jericho where the Palestinians are already building a sewage treatment plant. If it were done in the name of saving the environment few people would argue against it. One future challenge maybe that, because there are much larger problems in the new Middle East these days, much of the donor money currently going to the Palestinians could stop flowing. Israel and the Palestinians will then have to implement these projects without the support of the international community. You know, the Israeli debate on helping the Palestinian economy often revolves around adding more work permits. But that is a limited vision. We should also help develop high-tech factories using Israeli technology to allow thousands of Palestinian graduates to have decent jobs. They want to do more than work in low-skill jobs in Israel. CB-D: The UN has issued a warning that Gaza will soon be unliveable. Hamas controls the area and continues to rearm and to reject the Quartet conditions for normalising relations. The PA doesn’t want to be overly involved in Gaza. Israel wants to weaken Hamas but to prevent a humanitarian crisis. Egypt also wants to see Hamas weakened. What is the way out? GY: Hamas has evolved. It began as a social movement, supporting families in Gaza. It then moved into a second phase, using force and terror to, as they saw it, defend the homeland (there was of course a long ‘overlap’ period in which they did both). Since 2007, a year after the organisation gained control of Gaza in a coup, Hamas began to move into a third period, that of institutionalising itself and becoming increasingly political (while still supporting violence). When Hamas violently overthrew the PA, it didn’t understand what it meant to rule, having been used to providing supplementary economic aid rather than actually governing. The Egyptian President Mohamed Morsi saw strengthening Hamas as in the Brotherhood’s interest and supported the ‘tunnel economy’ in the Gaza Strip – but this policy was overturned by the current Egyptian President Abdel Fattah al-Sisi. Gaza is in crisis and Hamas needs international help. That’s also why it recently announced that the two millionth resident of Gaza was born. There aren’t two million people in Gaza, but Hamas wants to bring the world’s attention to it. 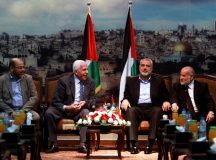 Hamas no longer focuses its message on ‘freeing Palestine from the river to the sea,’ but rather focuses on the Gaza blockade, issues of access and movement, and building a port. They need Israel to move fast on implementing an energy solution for Gaza, in order to resolve challenges of water and sewage. I carried out staff work on this challenge – of course, without contact with Hamas – and presented solutions during my time in COGAT. Until Gaza has its own gas field (which will take at least 10 years), the only solution to its energy problems is a natural gas pipe connection from Israel. Donors will not be prepared to invest millions of dollars to build a desalination plant (which is also necessary) without the necessary guarantees that it will have electricity. Even today, the North Gaza Sewage Treatment Plant is not operating due to lack of electricity, and has become a white elephant. Even here, pragmatic solutions were offered by Israel – and rejected. If Israel authorises and extends a gas pipeline from its own gas network to Gaza, this would facilitate the donor-funded construction of a desalination plant. But time is against us, because the entire project will take four to five years and, by my estimate, a crisis in Gaza will have already begun by 2018/19. The situation has become worse recently because Egyptian actions to prevent smuggling tunnels have caused sea water to seep into the southern aquifer in Gaza and destroy it. 96 per cent of water from the aquifer has become unfit for drinking and the aquifer is in a state of continuous degeneration. The other solution, which officials in Israel presumably do not like, is Israel supplying 100 MCM of water directly to Gaza. This is possible, but it would require security guarantees. Many Israeli decision makers do not want Gaza to be connected to Israel but bearing in mind it won’t be connected to Egypt, why not help build infrastructure between Gaza and the West Bank in the framework of supporting a two state solution? In theory, Israel could declare that it will provide 100 MCM of water to Gaza, funded by donor money that would otherwise go towards establishing desalination and sewage treatment plants. CB-D: What is preventing these solutions? Is it a fear of strengthening Hamas? GY: It is a security question, with political implications. In the current context it would strengthen Hamas and its narrative that Israel only understands force. On the other hand, Israel could potentially create a very attractive package. If, via a mediator, Israel offered Hamas a solution in which it would take care of Gaza’s water and energy problems and the donors would solve its sewage problem, I think Israel could achieve understandings for 20 years, such as a temporary truce. Of course, it’s a Catch 22. The danger is that unless this is done via Abu Mazen, the deal would significantly weaken him and Israel would end up supporting a de-facto three state solution. But for Abu Mazen to be a part of this, he would need to get a significant achievement in the West Bank, so he would actually be strong enough to deliver. But Hamas fears that if Abu Mazen did negotiate on their behalf, they would vanish, politically speaking. CB-D: Do you believe Hamas is on the verge of understanding that armed struggle is not working and moving towards a de-facto acceptance of Israel’s reality? GY: This process is part of the third phase of their evolution. There is an overlap between phase two – in which Hamas advances violence and terrorism – and phase three, in which Hamas might become institutionalised. There was also an overlap between the first two phases during which Hamas was both a social movement and a terror organisation – but unfortunately, I don’t think Hamas is ready to abandon terrorism. Today, Hamas is becoming a political entity, which still believes in terror. Its ambition is to lead the PLO and I fear some day it might succeed. Even if we ask ourselves whether it is worth beginning a dialogue, like we did with Yassar Arafat in the past, Hamas is not ready. On the other hand, Hamas have the power to enforce a ceasefire they agree to. They have no respect for human life but if they accept the Quartet conditions, and Abu Mazen still leads this process, we should calculate what is better for us and whom we should talk to. If we deal with the crisis of Gaza, we could end up strengthening Hamas: they would claim it as their own achievement. But look, if Hamas is evolving, why don’t we try and influence its evolution together with Abu Mazen, so he takes the credit instead? The framework for this would be the implementation of the kind of policies I have been talking about, in return for credible security guarantees. And one of the states that can play this role is Egypt. But Egypt is preoccupied with its own domestic security situation. The international community should still encourage Egypt to become more involved. Thinking pragmatically, Israel, the PA, the international community and Egypt need to work together urgently to create the necessary security conditions for any progress on Gaza – and it’s possible immediately. Excellent article by Grisha Yakubovich.Of course all this could be done for Gaza ,a lot has already been done through the hundreds of lorries that go through the crossing each day.Whilst Hamas uses the funds that UK,EU,USA and UN provide for making tunnels,nothing will happen.Whilst killing Israelis has a priority nothing will happen.If Palestinian leaders wanted peace you would imagine that they would seek to follow the economic miracle that is on their doorstep.I know of no actions that are likely to change in the West Bank or Gaza,so the poor people in those areas need to have the opportunity to rise up for peace not war.